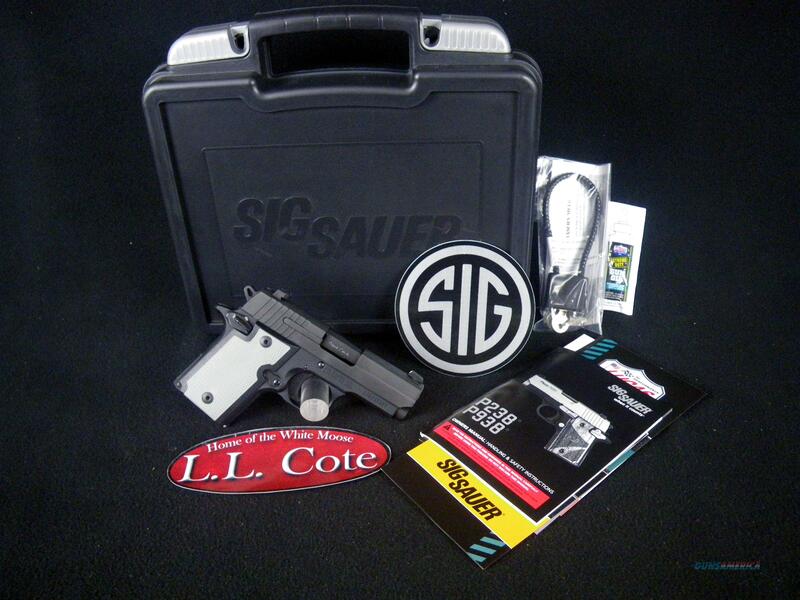 Description: You are bidding on a Sig Sauer P938 in 9mm with a 3" barrel. With the P938, SIG SAUER offers the ballistic advantage of the 9mm cartridge in a platform similar in size to the best-selling P238 pistol. With dimensions just slightly larger than its .380ACP counterpart, the P938 packs six plus one rounds of 9mm into an all-metal frame and a polished and engraved stainless steel slide. The single-action trigger gives the P938 unmatched accuracy in a pistol its size. Fans of the 1911 will find the thumb safety, magazine release and slide stop lever in familiar places. An ambidextrous safety makes the P938 easy for left- and right-handed shooters. Displayed images are stock photos. Any questions please feel free to ask (our phone number is in the additional information tab above).